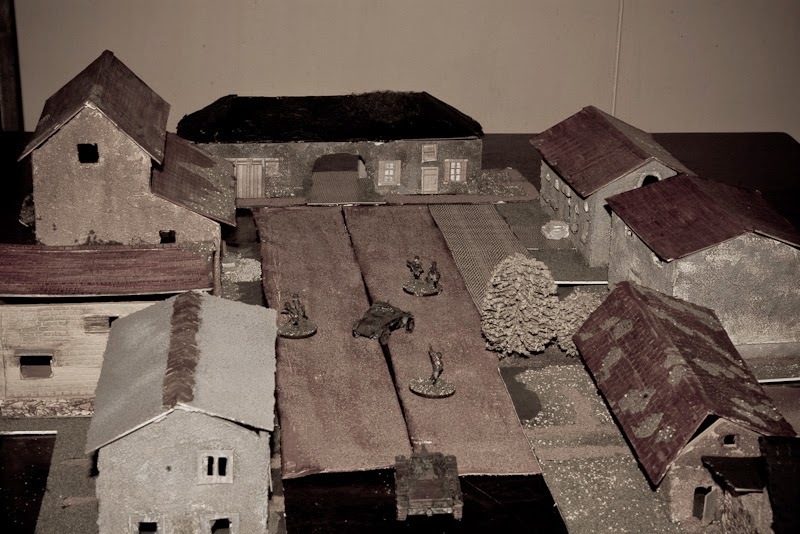 A while back I decided that the battle of Stonne (May, 1940) during the German invasion of France would make a suitable Chain of Command mini campaign and give me a reason to delve to a period of ww2 history which I did not know that well. The usual picture people have of the blitzkrieg in France is about the French army just throwing their weapons away and running. It is true that their higher echelon was still fighting the previous war - actually quite like most of the German higher ups, too. Germans just had few generals who were able to see the future and disregard orders when it suited them. Some of the French troops melted away when the panzer terror gripped them and rumours were saying that general evacuation was ordered. But then there were places like Stonne, de Gaulle's counter attack or Dunkirk, where they fought like lions. French army was probably the most (or second most, the Russians also had quite an arsenal) technologically advanced, but they were sorely lacking in details like radio equipment and that would hurt them time after time. It shows the main road, flanked by 2-3 story buildings, one higher building behing it and then the spire of the church in the background, just visible. It also might be that the tall building is part of the church, but to my eye it is aligned to different direction and churches in the area seem to have the bell tower connected to the main building. The road in both 1900 and 1940 pictures seem to be just a gravel road, with some maps shoving a small paved central plaza. 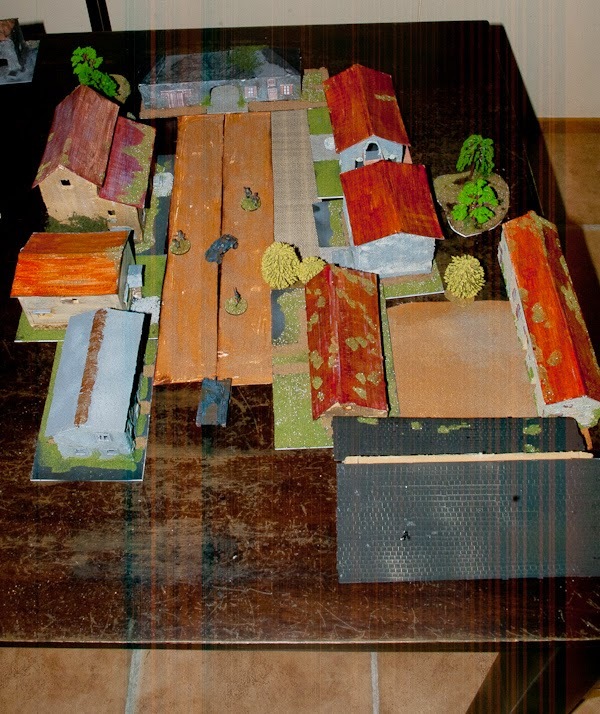 Ministry of Housing and Ruins is happy to present the plans for tabletop Stonne. First in 1:100 scale for CoC and the in somewhat reduced scale for IABSM. Overview from a scout plane. Not a single painted French in sight, operation delayed. Mayor's house and the smithy. Testing different ways of making doors and windows. What used to be a shop. 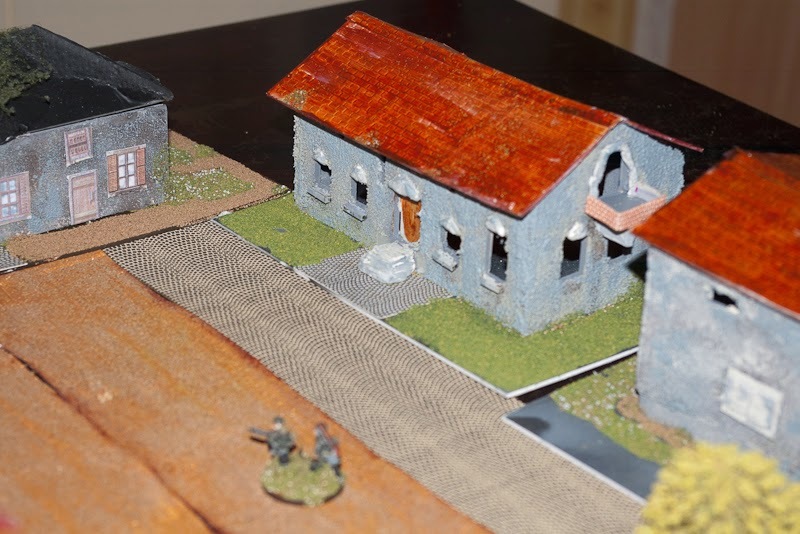 Buildings are made from 3mm foam core. 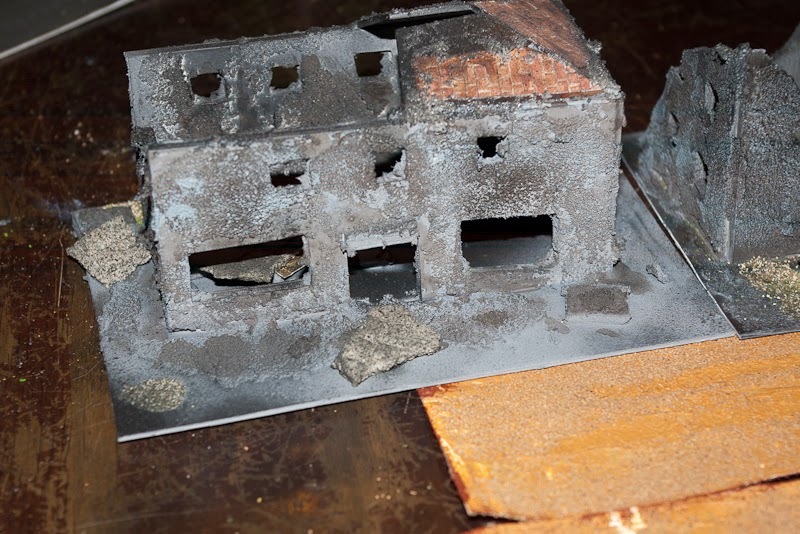 Pumice and plasticard for wall details and roofs. Many a good idea stolen from Derek's excellent blog, all implementation mistakes purely mine. 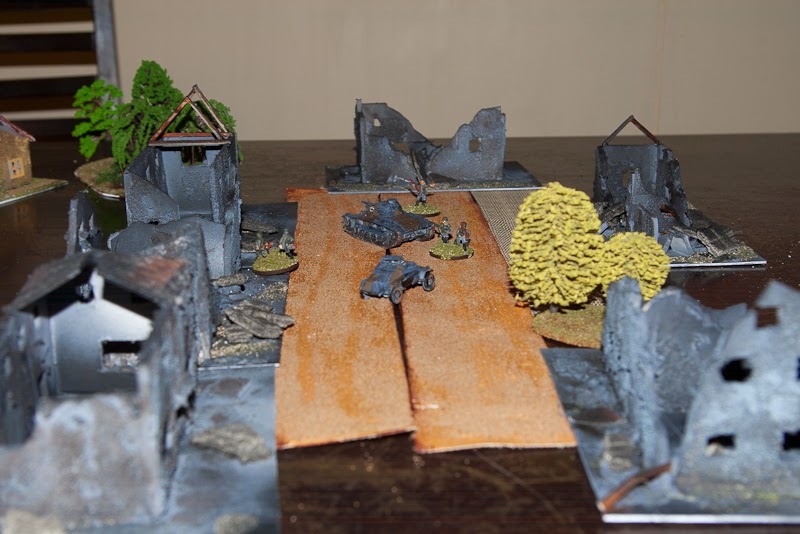 Roads, telegraph poles and chimneys still mostly missing. This is going to be an interesting campaign to watch develop.